The iconic granite face of the Old Man of the Mountains was created by the last continental glacier 15,000 years ago. He collapsed alone in the middle of the night to the base of Franconia Notch, NH on May 3, 2003. 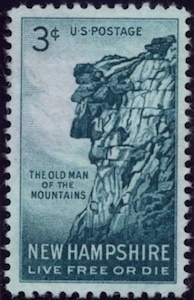 The Old Man is the NH state symbol and his image is on road signs and countless other objects around the state. 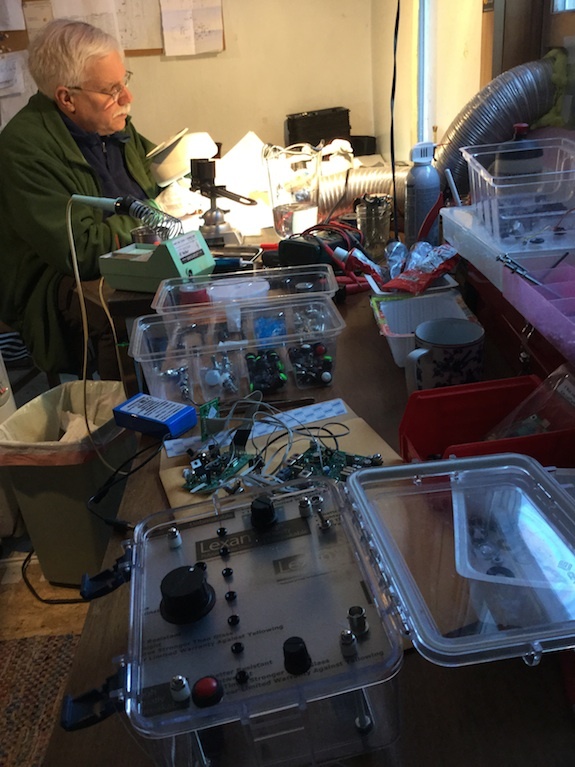 The Central New Hampshire Amateur Radio Club is honoring the sad day of the Old Man’s demise by operating both phone and CW at a location very close to Franconia Notch. Frequencies: We’ll be on or around these frequencies. 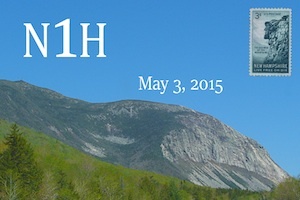 QSL: We’ll be printing a special color glossy QSL card for the event featuring the postage stamp image of the Old Man. This is a small version of the 4 x 6 glossy QSL postcard we’ll be sending out. We encourage you to send your QSL card so we can put it in our club archives. To receive the special Old Man QSL card, please send $1 to cover all costs. The special Old Man card will be sent to you in an envelope to protect it from damage. Be sure to include your call sign, name, address. tim the at sign and then my call sign followed by dot com. You have to do this to stop spambots from harvesting email addresses. I was INSTANTLY HOOKED. I had to have one of these super-cool one-of-a-kind QRP radios. I was intrigued by the touch keyer that senses the electric field around our bodies. 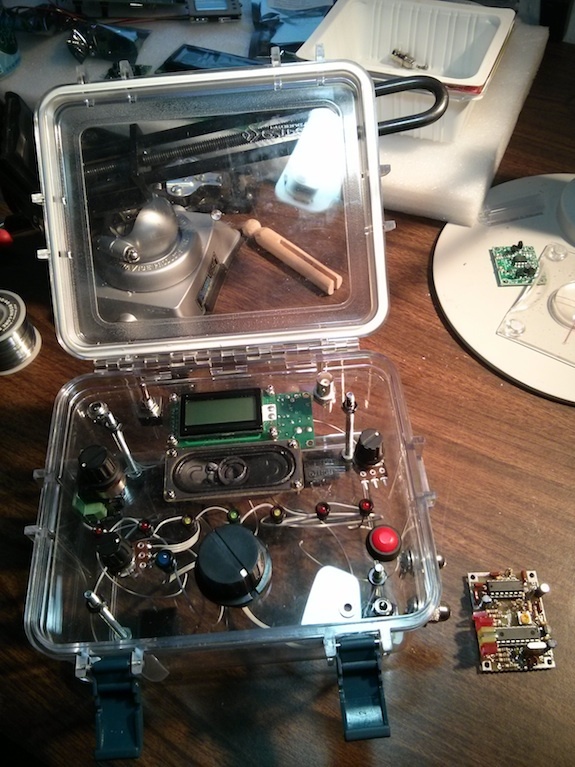 I had never built a kit radio nor soldered a resistor to a circuit board. As a master plumber, I’d soldered thousands of copper fittings with an acetylene torch, but I thought that would be a little overkill for an electronics project. I love to hike and spend time outdoors and I discovered that several of my club members blended hiking with amateur radio. Some of them did Summits on the Air and others just did casual low-impact hiking. One thing I knew for sure is that radios and water don’t mix well so if I wanted to do outdoor radio and not ruin my equipment I had better figure out a way to protect my investment. The water-resistant clear box I saw seemed to be just the ticket. 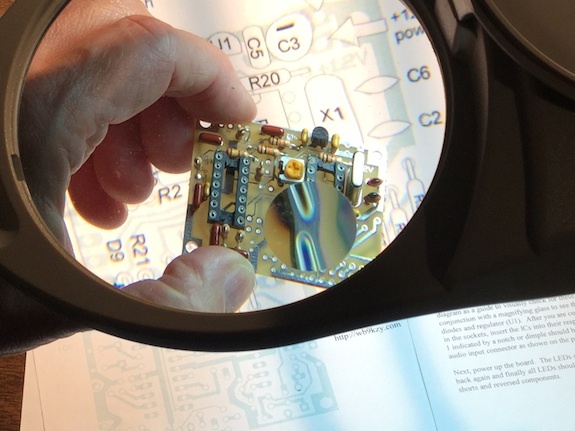 My CW and outdoor-radio mentor Jim Cluett – W1PID suggested that I buy the MFJ Cub 20-meter transceiver as that band is very reliable in daylight hours. I like to do outdoor radio in daylight hours rather than doing radio at night from a tent. You may enjoy doing radio at night, so pick whatever band favors your optimal time of operation. Plus, the MFJ Cub is a solid little radio and the kit is not too tough for a beginner. I placed my order, it arrived in no time and Hanz came over to my house to tutor me about how to build a radio in a box. We had two work sessions in February and March of 2013, but after that the project languished as Hanz got busy. 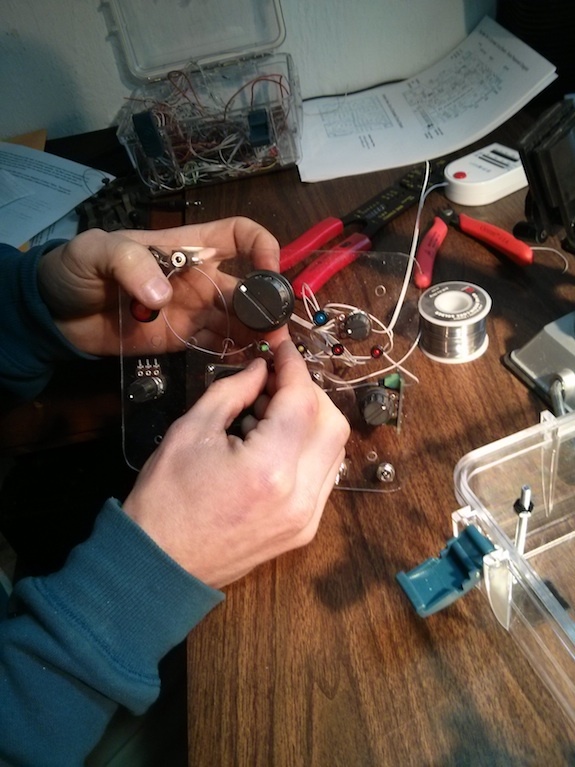 Two weeks ago at the beginning of March, Hanz and I got together to get the radio finished. Last weekend Hanz started to work on the clear Lexan panel where all the controls go. Last night I went to Hanz’s house and started to assemble the Son of Zerobeat kit. I had a BLAST soldering and almost made a mistake after a couple of hours. A small blue round thing that looks like a farmer’s grain silo had to be soldered in a certain way as it was polarized. I failed to see that in the great instructions, but luckily I had the correct orientation! This radio is the MFJ Cub on steroids and human growth hormones. The kit from MFJ just has two knobs and the power, key and phone input jacks. My radio will have that and much more. It’s going to have an LCD digital frequency readout, it’s got the Zerobeat kit so you know when you’re right on frequency, it’s got a built-in high-performance lithium-ion battery, and an electronic touch keyer! All you have to do is open the lid, attach the antenna and turn it on to operate. 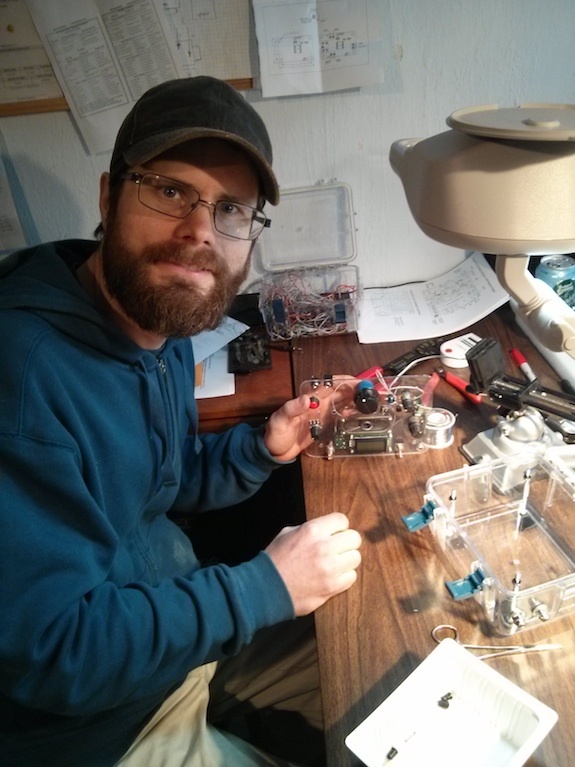 Hanz is in the business of building even better radios in a box. He now uses the super durable Pelican boxes and installs an HB-1B quad-band radio in the box. It has all the stuff my radio has and MORE. You can ORDER Hanz’s radios by simply CLICKING HERE. Yesterday afternoon, Hanz and I continued to work on the project. I was hoping to get it finished, but boy it’s a lot of work. I spent 40 minutes completing the construction of the Son of Zerobeat circuit board while Hanz worked diligently on completing the clear panel that has all the control knobs, LEDs, LCD frequency display, switches, and input jacks. After I finished the Son of Zerobeat board, Hanz then had me wire up all of the LEDs for the board. Hanz feels the radio looks better if you use small round LEDs and space them out on the panel. I have to agree. You can see them below in the photos. It took a solid 90 minutes to daisy chain the positive leads of the LEDs and then solder on the negative feed wires to each LED. I really enjoyed doing it, even tinning the small tiny metal pins of the LEDs! We hope to complete the project on Sunday, March 22, 2015. All that’s left to do is just make all the connections from the radio and other circuit boards to the control panel components.